My cousin Kristen is expecting sweet little Houston James on April 24 so we honored her with a shower. 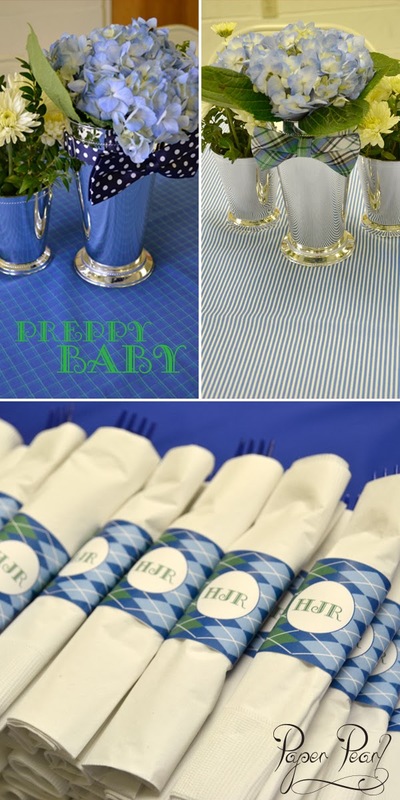 Our theme was Preppy Baby with mint julep cups, blue hydrangeas, bow ties, seersucker and plaid in preppy blues and greens. Like any little Southern gentleman, Houston's monogram graced the napkin rings. 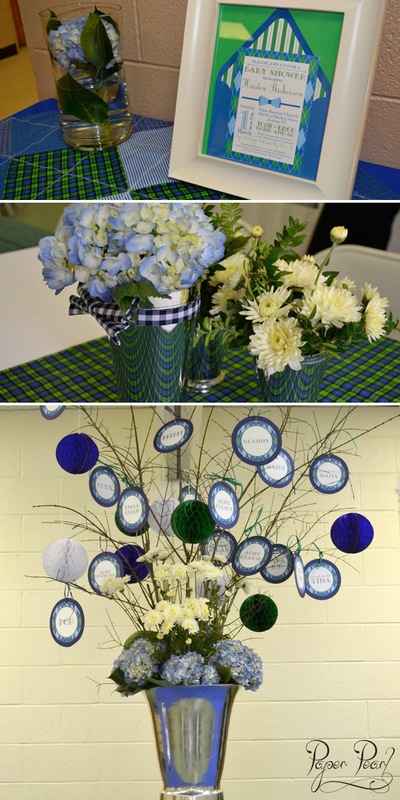 We created a family tree for the centerpiece of the food table with branches and paper circles with everyone's name on it in Houston's argyle pattern I created for his invitation.